August 1999 – June 2005. BS in Microbiology from University of Bombay. Retired as an Affiliate Member in the Department of Pharmacology & Therapeutics (2016 – 2018), Roswell Park Cancer Institute, Buffalo, NY. Research involved investigating novel anticancer properties of Prolidase in preclinical cancer models including breast, colorectal and bladder cancer. Affiliate Member in the Department of Cancer Prevention and Control (2009 – 2016), Roswell Park Cancer Institute, Buffalo, NY. Research involved investigating anticancer properties of natural products such as broccoli, horse radish, wasabi, mustard and selenium in preclinical cancer models including head & neck, lung, colorectal and bladder cancer. Homeopathy teacher, educator, tutor, mentor and seminar speaker in North America. Homeopathic Tutor for British Institute of Homoepathy, Canada and USA. Since October 2004, adjunct faculty with Akamai University for homeopathic education. Director – Alpha Trade Links, India. Consultants to Himedia Laboratories P Ltd., Ceekay Daikin Ltd. and other corporations on international trade related matters. Faculty member – Institute of Management and Professional Studies, Mulund, Bombay, India. Taught International marketing to graduate students. Visiting Faculty – Melange Institute of Management, India. Taught International marketing to graduate students. Project Executive, Thomas Baker Pvt. Ltd., Bombay, India. National Institute of Health 2 year R21 award effective May 1st 2009 (CA133682-01A2) ‘Dietary Supplement Selenium and HIF-1 alpha Regulation in Cancer’. #20080019919 – Method for optimizing cancer therapy by monitoring maturation of tumor associated vasculature by selenium. #61/313,004 – Novel method for delivery and use of isothiocyantes and its conjugates against bladder cancer growth and metastasis. #13/609,53 (US), #201180013514.5 (China), #11754150.8 (EP) and #7668/DELNP/2012 – Novel method for delivery and use of isothiocyanates for prophylaxis and/or therapy of bladder cancer. #62/039,497 & PCT/US15/46000 – Method for prophylaxis and/or treatment of ErbB1 positive cancers. #62/186,439 & PCT/US16/40423 – Diagnostic test for Alzheimer’s disease based on identification of a proteolytic pathway. SUNY at Buffalo Graduate Student Association Distinguished Service Recognitions as a Finance Commissioner for 2001-2. Ex-associate member of the International Federation of Practitioners of Natural Therapeutics, UK. Li Y, Chen Z, Paonessa J D, Bhattacharya A, Glatt H, Vouros P, Zhang Y. Strong impact of sulfotransferases on DNA adduct formation by 4-aminobiphenyl in bladder and liver in mice. Cancer Medicine, 2018. DOI:10.1002/cam4.1779. Lu Y, Li Y, Bhattacharya A, Zhang Y. PEPD is an essential regulator of p53 tumor suppressor [abstract]. In: Proceedings of the American Association for Cancer Research Annual Meeting 2018; 2018 Apr 14-18; Chicago, IL. Philadelphia (PA): AACR; Cancer Res 2018;78 (13 Suppl):Abstract nr 552. Yang Lu, Li Y, Bhattacharya A, Zhang Y. Dual inhibition of ErbB1 and ErbB2 in cancer by recombinant human prolidase mutant hPEPD-G278D. Oncotarget, 2016. DOI:10.18632/oncotarget.9851. Bhattacharya A, Zhang Y. Editorial: Role of homeopathy in integrative cancer care. Carcinogenesis and Mutagenesis, 6, 2016. DOI: 10.4172/2157-2518.1000e118. Yang L, Li Y, Bhattacharya A, Zhang Y. Inhibition of ERBB2-overexpressing tumors by recombinant human Prolidase and its enzymatically inactive mutant. EBioMedicine, 2,396-405, 2015. http://dx.doi.org/10.1016/j.ebiom.2015.03.016. Veeranki O L, Bhattacharya A, Tang L, Marshall J R, Zhang Y. Cruciferous vegetables, isothiocyanates, and prevention of bladder cancer. Curr Pharmacol Rep., DOI 10.1007/s40495-015-0024-z, 2015. Bhattacharya A, Klaene J J, Li Y, Paonessa J, Stablewski A B, Vouros P, Zhang Y. The inverse relationship between bladder and liver in 4-aminobiphenyl-induced DNA damage. Oncotarget, 6(2), 836-845, 2014. Bhattacharya A, Li Y, Shi Y, Zhang Y. Enhanced inhibition of urinary cancer growth and muscle invasion by allyl iothiocyanate and celecoxib in combination. Carcinogenesis.Carcinogenesis, 34(11), 2593-2599, 2013. Veeranki O L, Bhattacharya A, Marshall J R, Zhang Y. Organ-Specific Exposure and Response to Sulforaphane, a Key Chemopreventive Ingredient in Broccoli: Implications for Cancer Prevention. British Journal of Nutrition, 109, 25-32, 2012. Book Chapter: Bhattacharya A. ‘Towards a better understanding of health and disease’ in ‘A compendium of Essays on Alternative Therapy’. ISBN 978-953-307-863-2. Intech-Open Access Publishers, Rijeka, Croatia. 2012. Bhattacharya A, Li Y, Geng F, Munday R, Fahey J W, Zhang Y. The principal urinary metabolite of allyl isothiocyanate, N-acetyl-S-(N-allylthiocarbamoyl)cysteine, inhibits the growth and muscle invasion of bladder cancer. Carcinogenesis, 33(2), 394-398, 2012. Azrak R.G, Cao S, Durrani F A, Tóth K, Bhattacharya A, Rustum Y M. Augmented therapeutic efficacy of irinotecan is associated with enhanced drug accumulation. Cancer Letters, 311(2), 219-229, 2011, doi:10.1016/j.canlet.2011.07.023. Bhattacharya A. Methylselenocysteine – a Promising Antiangiogenic Agent for Overcoming Drug Delivery Barriers in Solid Malignancies for Therapeutic Synergy with Anticancer Drugs. Expert Opinion on Drug Delivery, 8(6), 749-763, 2011. Bhattacharya A, Turowski S G, San Martin I D, Rajput A, Rustum Y M, Hoffman R M, Seshadri M. Magnetic resonance and fluorescence-protein imaging of anti-angiogenic and anti-tumor efficacy of selenium in an orthotopic model of human colon cancer. Anticancer Research, 31, 387-394, 2011. Bhattacharya A, Turowski S G, San Martin I D, Rajput A, Rustum Y M, Hoffman R M, Seshadri M. Combined magnetic resonance and fluorescence-protein imaging to simultaneously assess the antitumor and anti-antiangiogenesis efficacy of selenium. Proc. Am. Assoc. Cancer Res. (Abstract#4284), 2011. Bhattacharya A, Li Y, Wade K L, Paonessa J D, Fahey J W, Zhang Y. Allyl isothiocyanate-rich mustard seed powder inhibits bladder cancer growth and muscle invasion. Carcinogenesis, 31(12), 2105-2110, 2010; doi: 10.1093/carcin/bgq202. Chintala s, Tóth K, Yin M-B, Bhattacharya A, Smith S B, Ola M S, Cao S, Durrani F A, Zinia T R, Dean R, Slocum H K, Rustum Y M. Downregulation of cystine transporter Xc¯ by irinotecan in human head and neck cancer FaDu xenografts. Chemotherapy. Chemotherapy, 56(3), 223-233, 2010. Rustum Y M, Tóth K, Seshadri M, Sen A, Durrani FA, Stott E, Morrison C D, Cao S, Bhattacharya A. Architectural heterogeneity in tumors caused by differentiation alters intratumoral drug distribution and affects therapeutic synergy of antiangiogenic organoselenium compound. Journal on Oncology, Article ID 396286. doi:10.1155/2010/396286. Bhattacharya A, Tang L, Li Y, Geng F, Paonessa J, Chen S C, Wong M, Zhang Y. Inhibition of bladder cancer by allyl isothiocyanate. Carcinogenesis, 31(2), 281-286, 2010; doi: 10.1093/carcin/bgp303. Bhattacharya A, Tang L, Li Y, Geng F, Paonessa J, Chen S C, Wong M, Zhang Y. Bladder cancer inhibition by allyl isothiocyanate. Proc. Am. Assoc. Cancer Res., Frontiers in Cancer prevention Research, 2009. 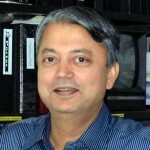 Bhattacharya A. A model of health and disease in homeopathy. The American Homeopath 14, 138-142, 2008. Cao S, Durrani FA, Bhattacharya A, Yu Y, Rustum YM. Enhanced irinotecan toxicity in UDPGT deficient rats: Role of UDPGT1A in irinotecan detoxification. Proc. Am. Assoc. Cancer Res., 2008. Bhattacharya A, Tóth K, Cao S, Azrak R. G, Durrani F A, Rustum Y M. 5-Methylselenocysteine (MSC) causes tumor vessel maturation leading to synergistic antitumor effect in human xenografts. Proc. Am. Institute for Cancer Res., 2007. Seshadri M, Bhattacharya A, Tóth K, Rustum Y M. Contrast-enhanced MRI of the vascular response of human tumor xenografts to the chemopreventive agent selenium in vivo: Implications for combination therapy. Proc. Am. Assoc. Cancer Res., 2007. Bhattacharya A, Tóth K, Cao S, Azrak R. G, Durrani F A, Rustum Y M. Se-(Methyl)selenocysteine causes tumor vessel maturation leading to synergistic antitumor effect in human xenografts. The Journal of Nutrition, 137(1S), 278S, 2007. Bhattacharya A, Mazurchuk R, Spernyak J. A, Tóth K, Magnano, C.R, Cao S, Azrak R. G, Durrani F A, Rustum Y M. Tumor vessel maturation by 5-Methylselenocysteine (MSC) results in synergistic antitumor effect in human head and neck squamous cell carcinoma (HNSCC) xenografts. Proc. Am. Assoc. Cancer Res., 2006. Bhattacharya A, Mazurchuk R, Spernyak J. A, Cao S, Durrani F A, Rustum Y M. Serial spin echo based BOLD fMR imaging can predict chemotherapy response in head and neck squamous cell carcinoma (HNSCC) xenografts. Proc. International Society of Magnetic Resonance in Medicine, 2006. Yin M-B, Li Z-R, Tóth K, Cao S, Durrani F A, Hapke G, Bhattacharya A, Azrak R G, Frank C, Rustum Y M. Potentiation of irinotecan sensitivity by Se-methylselenocysteine in an in vivo tumor model is associated with downregulation of cyclooxygenase-2, inducible nitric oxide synthase and hypoxia-inducible factor 1α expression, resulting in reduced angiogenesis. Link to Article Oncogene, 25, 2509-2519, 2006. Bhattacharya A, Tóth K, Azrak R, Pendyala L, Spernyak J, Cao S, Durrani F A, Mazurchuk R, Slocum H K, Rustum Y M. Resistance to irinotecan is associated with lack of microvessels, hypoxia and limited drug delivery in the well differentiated parts of human head and neck squamous cell carcinoma (HNSCC) A253. Proc. Am. Assoc. Cancer Res. 45, 2004. Cao S, Durrani F A, Moser M T, Bhattacharya A, Foster B A, Rustum Y M. Se-(Methyl)Selenocysteine (MSC) potentiates the antitumor activity of Taxotere against Prostate Cancer inTramp model. Proc. Am. Assoc. Cancer Res, 45, 2004. Bhattacharya A, Azrak R, Toth K, Cao S, Durrani F, Pendyala L, Mazurchuk R, Rustum Y M – Tumor hypoxia and differentiation status are markers associated with response to irinotecan (FU therapy) of xenografts bearing squamous cell carcinoma of the head and neck (SCCHN) tumors. Proc. Am. Assoc. Cancer Res. 44, 2003. Bhattacharya A – The enigma of coffee restriction in homeopathic treatment. Asian Homeopathic Journal, 6(4), 33-36, 1996. Bhattacharya A – Dietary effect on criminal behaviour. Health Newsletter, 15, 4, 1996. Bhattacharya A – A new model of health and diseases. Health Newsletter, 1996. Bhattacharya A – Alleviating Anxiety neuroses nutritionally. Health Newsletter, 1996. Bhattacharya A – Garlic – the health Panacea. Health Newsletter, 1996. Bhattacharya A – Understanding minerals. Health Newsletter. 1996 & 1997. ‘A compendium of Essays on Alternative Therapy’. ISBN 978-953-307-863-2. Intech-Open Access Publishers, Rijeka, Croatia. 2012. 05/14-15/2016 BeHealthy Institute, Hamburg, NY. Reviewer for scientific journal such as Molecular Cancer Therapeutics, Clinical Cancer Research, Cancer Research, Bioorganic & Medicinal Chemistry Letters, Expert Opinion on Emerging Drugs, and, Cancer Epidemiology, Biomarkers & Prevention. Canadian Institute of Health Research – External reviewer since 2008. Invited by New York Academy of Sciences to participate in roundtable discussion on critical R&D global challenges for their PepsiCo Company Day on December 10, 2009. Featured under ‘Practitioner Spotlight’ in Buffalo, NY Edition of Natural Awakening, February, 2016.